You can easily try out coreboot using QEMU, without having to actually flash the BIOS chip on your real hardware. QEMU Build Tutorial — Starting a Debian GNU/Linux system via coreboot + a Linux kernel, or via coreboot + FILO. 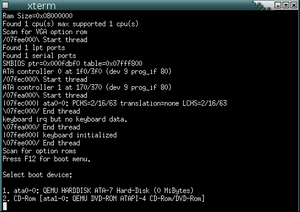 Booting FreeBSD using coreboot — Booting FreeBSD via coreboot + ADLO. 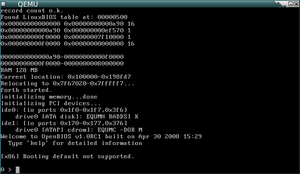 Below is a list of various downloadable QEMU images you can use to try out coreboot. You need a patched version of vgabios-cirrus.zip for these images to work fine, the version in QEMU's CVS repository does not yet work. The image from Debian's QEMU package (/usr/share/qemu/vgabios-cirrus.bin) is already patched and works, too. SeaBIOS is an open-source legacy BIOS implementation which can be used as a coreboot payload. It implements the standard BIOS calling interfaces that a typical x86 proprietary BIOS implements. Replace /dev/zero above with a real QEMU disk image to actually boot something. 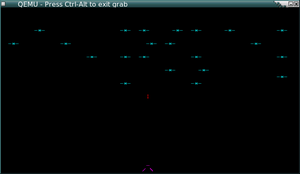 FILO is a simple bootloader which can load (e.g.) 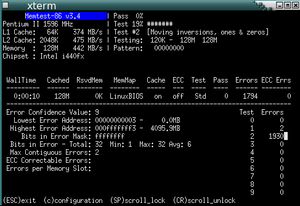 Linux kernels from disk. The QEMU image uses coreboot v3 (r672) and FILO (r45) with a certain configuration (for example: it's looking for /boot/grub/menu.lst on hda1). 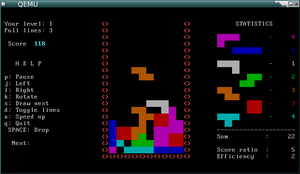 Replace /dev/zero above with a real QEMU disk image which has a /boot/grub/menu.lst on hda1 to actually boot something. This is a small payload called coreinfo. This is coreboot v3 (r656), libpayload (r3225), and tint 0.03b patched to be built against libpayload. This is coreboot v3 (r656) and Memtest86 (3.4) with serial support enabled. The VGA display in QEMU is broken after a few seconds, this is a known issue, but we don't yet know what exactly the problem is. 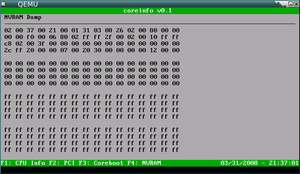 This is coreboot v3 (r672) and OpenBIOS (r186). This page was last modified on 10 December 2012, at 10:04.